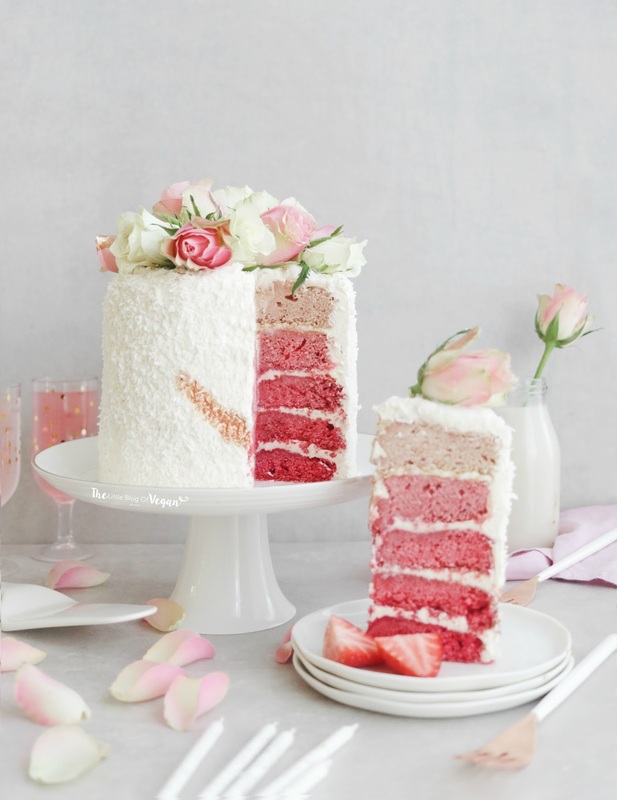 Who wants a slice of this strawberry ombre cake?...I do! 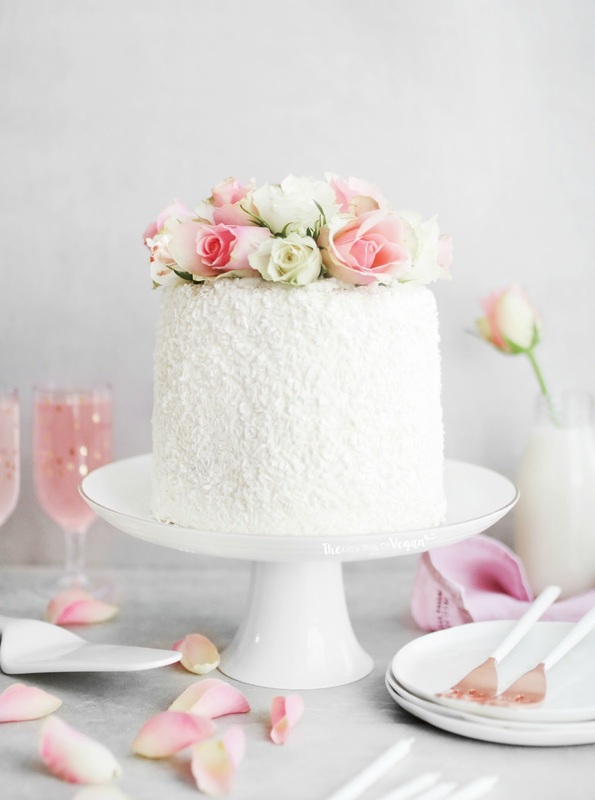 Make Mothers Day & Valentines Day memorable with this 5 tiered pink ombre layer cake, filled with strawberry jam, topped with roses, desiccated coconut and edible glitter! 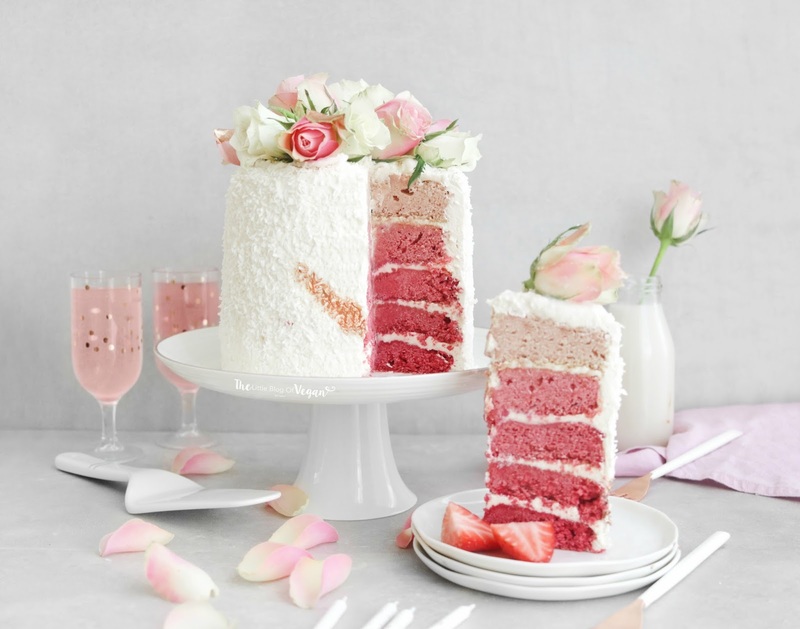 The beautifully coloured sponge cakes are 100% vegan which are coloured with vegan pink food gel. I also coated the whole cake in my light & fluffy vanilla buttercream and layered the tiers with strawberry jam! Absolutely delicious! 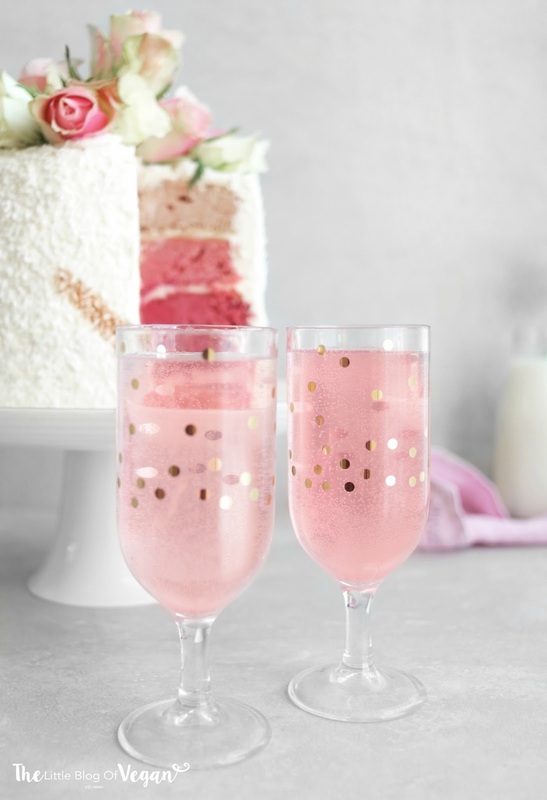 Why not serve this gorgeous cake with some rosé or pink lemonade? It compliments the cake beautifully. This was my first time ever making an ombre cake and I am so impressed with how it turned out. I wanted to show you how I plan recipes. This is a little drawing I did on Instagram and I based this whole cake on it. Don't judge my artistic talents, haha. The cakes are fluffy, light and flavourful, considering the cakes contain food colouring. I use the Rainbow Dust ProGel Pink gel which is Nut Free, GM Free, Gluten Free, Suitable for Vegetarians & Vegans, Kosher and Dairy Free. 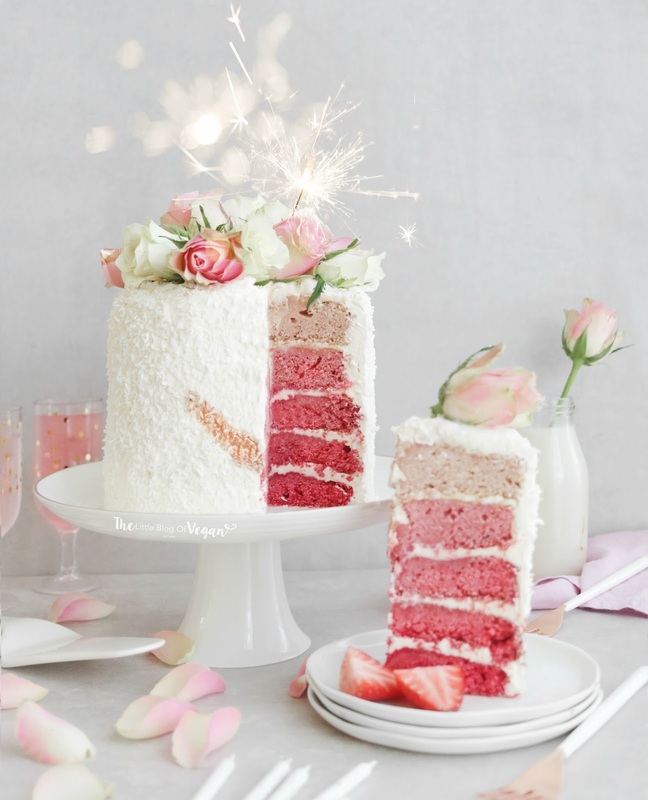 This isn't sponsored, but I want to mention it as its ultra-pigmented and so good in cakes! This cake looks technical but it's actually pretty simple and I'm sure whoever you make this delicious bake for will be more than impressed! Step 1- Preheat your oven to 180 degrees c and line six 8inch cake tins with greaseproof paper. 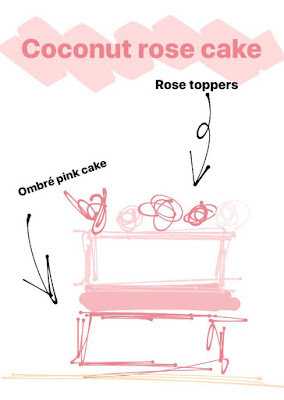 I did end up using only 5 cakes and used the other to make pink cake pops! If you don't have six cake tins, you'll have to bake them in stages. 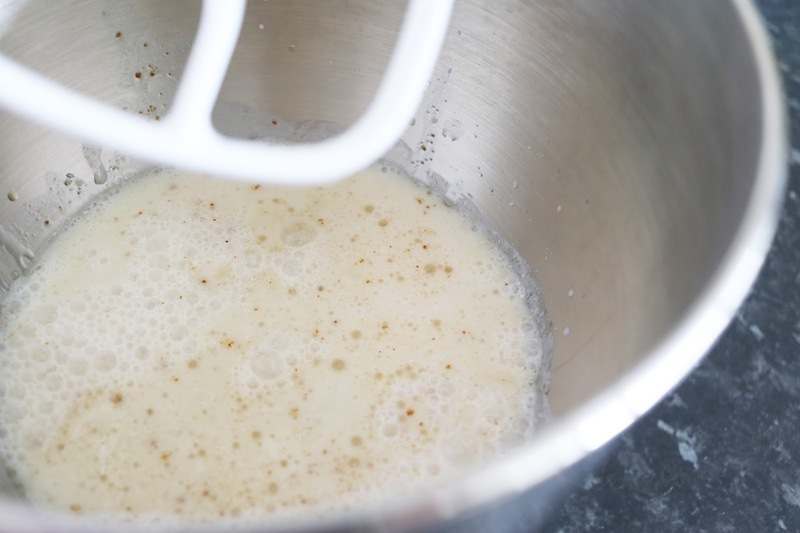 Step 5- Add the wet ingredients to the dry and mix until a smooth batter. 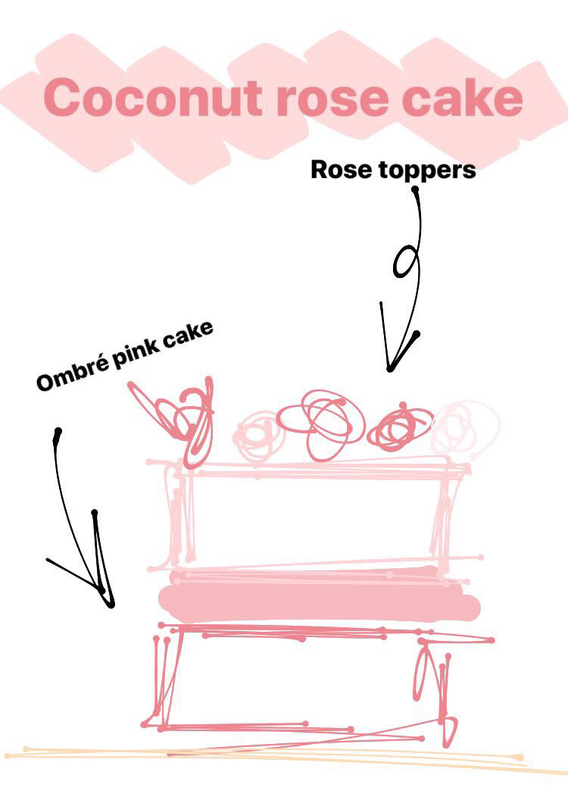 Step 6- Separate the batter into 6 separate bowls and tint the batter different shades of pink, gradually getting lighter until you leave the last cake plain. 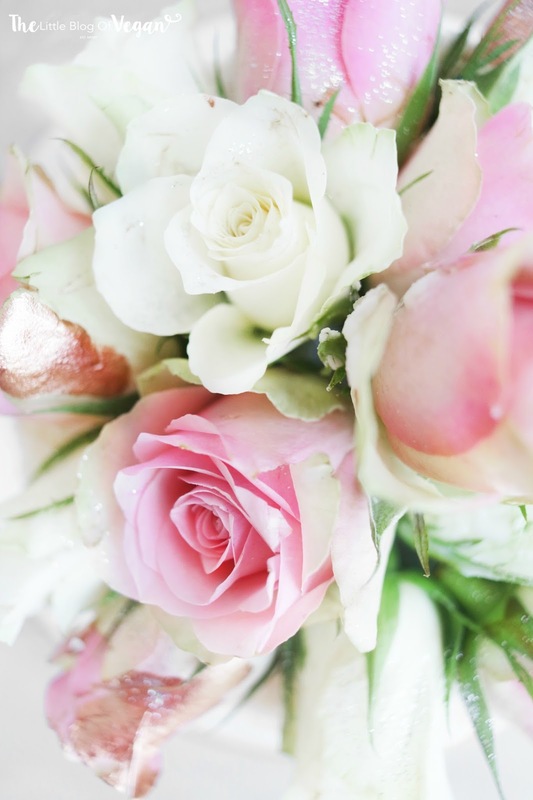 This creates your ombre effect. Step 8- Pop the cakes into the preheated oven and bake for 20-25 minutes. Check them after 20 minutes. Step 9- Place the cakes on a cooling rack and allow to cool fully before frosting. Step 1- In a bowl/stand mixer, cream the butter on high then add in the icing sugar and vanilla. 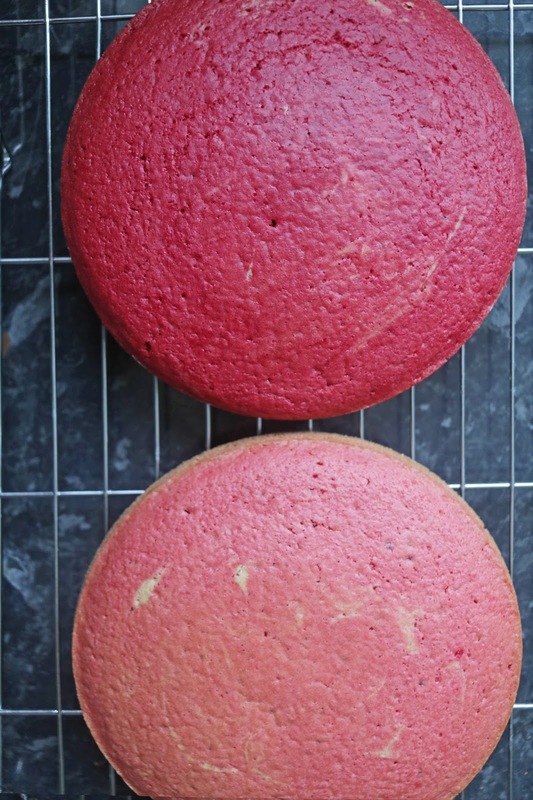 Step 2- Stack and fill the cakes with strawberry jam and buttercream, then crumb coat the whole cake and then pop into the fridge to set. This will take around an hour. Step 4- Press desiccated coconut onto the sides and top of the cake then pop back into the fridge to set. Step 5- Once the final layer of frosting is firm, I added some of my homemade royal icing onto the top of the cake and pressed on some fresh roses. Don't push the stalks into the cake. I layed on the rose buds. I also sprinkled over some edible glitter. 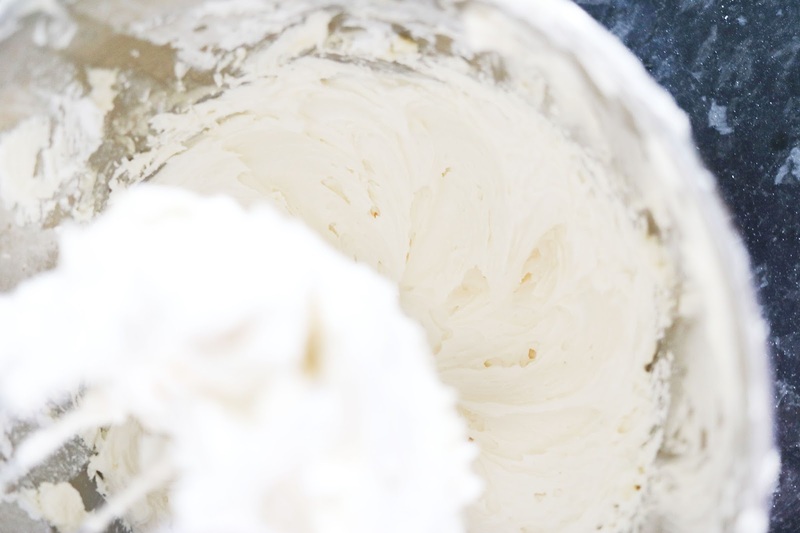 Serve fresh or store in a sealed container, the buttercream will firm up at room temperature. Best eaten within a few days of making! I love ombre cakes! 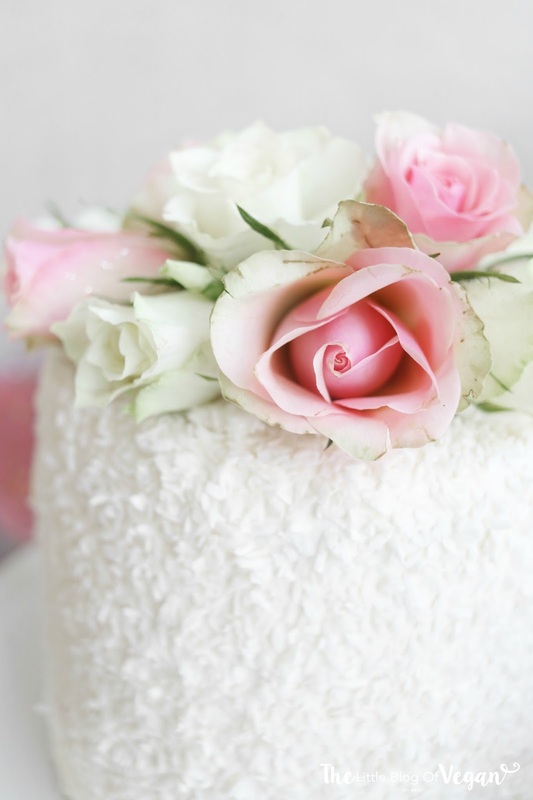 This cake looks absolutely beautiful and also perfect for Valentine's day! Should this be 5 or 6 layers? Your directions say 6, but it looks like 5 layers to me.